It may have taken Jay-Z a couple of years to make it big after his dropped his debut album Reasonable Doubt, but it looks like his daughter is hitting the charts early. Blue Ivy Carter, Hova and Beyonce’s newborn daughter, is now the youngest person to be credited on a Billboard chart entry. According to Billboard, Jay-Z’s recent song “Glory,” which featured a recordIng of his daughter Blue Ivy’s first moments after birth, entered the Billboard Hip Hop/R&B charts at No. 74 this weekend. As a result, the daughter of the Roc Nation impresario, who is credited as B.I.C. on the song, became the youngest person to ever be featured on the Billboard charts only 48 hours after her birth. 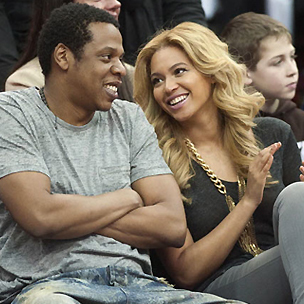 The song’s release marked a new achievement for newfound dad Jay-Z as well. “Glory” became Hov’s 107th entry on the Billboard charts and debuted as the highest new entry on the R&B/Hip-Hop Songs list with 1.7 million listeners.